Project midterm evaluation meeting was held during 12th and 13th November 2013 in Thun, Switzerland, with presence of EC Project Officer and assigned Project Technical Advisor. During the first 18 months of the project the necessary design of a vacuum chamber was performed, considering the complexity of the final tool. Further adaptations of existing SEM chambers were necessary for seamless multi-modal microscopy, therefore a retractable slide and a new XYZ stage were also designed and manufactured. In parallel, significant improvements of individual techniques such as SEM (immersion optics resolution improvement from 3.5 nm to 1.6 nm at 1keV), TOF-SIMS (signal enhancement factor of 75 due to the new ion optics and oxygen flooding) or SPM were achieved (scanning area in vacuum of 50×50 µm² from previous 10×10 µm²). The first integration of SEM and vacuum-operated CRM (Confocal Raman Microscopy) shows unprecedented results of the same sample spot image, with optical resolution of 360 nm, which is also well beyond the foreseen result (500 nm). This part of the tool is now ready to perform several characterization tests, which will lead to optimization of the settings. Consequently, hardware and software integration of all techniques should provide the universal nano-analytical tool, for multipurpose use. To make the best use of nanotechnology, however, researchers and businesses need the most advanced and effective tools. 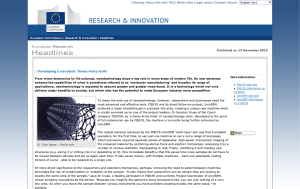 FIBLYS and its direct follow-on project, UnivSEM, achieved a major breakthrough in precisely this area, creating a unique new machine which is vividly summed up by one of the project leaders, Dr Jaroslav Jiruse of the Czech company TESCAN, as ‘a Swiss Army knife’ of nanotechnology tools. Developed to the point of full commercial use by FIBLYS, the machine is currently being further enhanced by UnivSEM. The radical advance achieved by the FIBLYS-UnivSEM ‘multi-nano’ tool was that it enabled operators, for the first time, to use just one machine to carry out a range of processes which previously required separate pieces of apparatus: high-power microscopic imaging of the prepared material by combining atomic-force and electron microscopy; analysing it by a number of various methods; manipulating it; and, finally, modifying it and creating new structures (e.g. slicing it or drilling into it or depositing on it). One immediate benefit is that this saves time since samples do not have to be moved between devices and set up again each time. It also saves money, with multiple machines – each one potentially costing millions of euros – able to be replaced by a single one. Of more direct significance to the researchers and operators themselves, perhaps, removing the need to switch between machines eliminates the risk of contamination or oxidation of the sample. “It also means that researchers can be certain they are looking at exactly the same area of the sample,” says Dr Jiruse, a leading participant in FIBLYS and currently Project Coordinator of UnivSEM, whose company manufactured the device. “Because you magnify the specimen many thousand times, you are only looking at a very tiny area. So when you move the sample between various instruments you have problems locating exactly the same place,” he explains. Jaroslav Klima, CEO, Tescan from Wiley: Physical Sciences on Vimeo. Symposium will be organized on 30. September – 02. October 2013 in Ulm, Germany. Speakers from universities and industry will present their scientific achievements and talk about several aspects of modern Raman imaging. Featured elements of the symposium include a equipment demonstration and contributed talks and poster sessions which will give the participants the opportunity to contribute and present their own scientific results in the field of confocal Raman imaging. Thus the symposium provides a perfect forum for interaction among experts in the field. The M12 meeting was successfully organized by WITec in Ulm (Germany) on 25th April 2013. During the meeting work of all ongoing work-packages were presented and review of all M12 due deliverables was done. 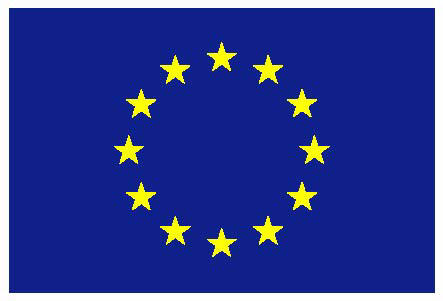 The UnivSEM project is advancing well towards integration of individual analytical/visualization nano tools and a number of scientific results will be published soon in peer-reviewed events and journals. The meeting was finished by WITec’s lab tour and by important bi-& tri-lateral technical meetings. 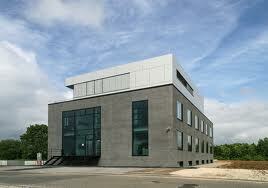 The M12 meeting will take place on Thursday April 25th 2013 in Ulm (Germany) at WITec’s premises. The meeting agenda is accessible inside the partner’s section. 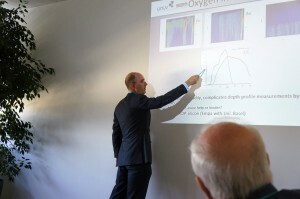 The general goals of UnivSEM will be addressed by Ivo Utke (or James Whitby) from EMPA at Technology aperitif with the title “EXPLORING MATERIALS IN 3D DOWN TO THE ATOMIC SCALE” on 28th June 2012 in Kursaal, Bern. The talk has title ‘Novel developments in FIBSEM add-on systems : in-situ TOF-SIMS with in-situ AFM and gas injection’. 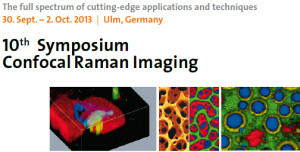 The M6 meeting will take place on Thursday, October 25th 2012 and it will be organized by the Max Planck Institute for the Science of Light at Erlangen (DE). 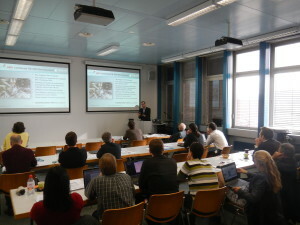 The kick-off meeting late in April was organized in two parts. The first day, overall concept of UnivSEM was presented by coordinator Dr. J. Jiruse – Head of Physics at TESCAN, a.s. The EC project officer presented the essential informations for successful project implementation. and all partners leading a work-package presented the challenges and action plan for the next 6 -12 months. The second day was devoted to the technical discussions among various working groups and to the meeting of External Advisory Board of the project. The experts and end-users from Germany, Austria, Italy and Czech Republic provided important insights and recommendations for UnivSEM tool design, functionality and performance. The whole consortium appreciated the organizational skills, meeting preparation and its execution by the whole TESCAN team. The whole consortium will meet on Wednesday 25th and Thursday 26th April 2012 in Brno at TESCAN premises for kick-off meeting of UnivSEM project (1st April 2012 – 31st March 2015). 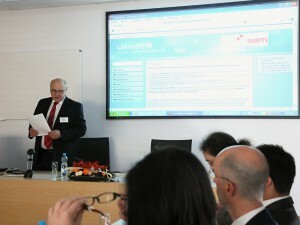 More details about the project at UnivSEM facts.